Our organization offers Ginger and Garlic paste, which are used to prepare various types of vegetarian and non-vegetarian dishes. By using our paste, one need not face the hassle of peeling, chopping and grinding. These pastes have the original flavor of Ginger and Garlic and hence are used in hotels, homes, restaurants and guest houses across the globe. Ginger has widely been in use in India & China, from very ancient times. Small wonder, it's the earliest of all spices to be introduced in Europe. Hot & penetrating , ginger is slightly biting too. It is the freshly dried , powdered or pureed rhizome of a perennial herb. We are engaged in exporting an optimum quality Ginger Seeds that are extensively acclaimed in the domestic as well as international markets. We offer these seeds which have rich source of nutrients and free from any preservatives or artificial ripeness. Ginger helps to fix respiratory tract illness due to its remarkable anti-inflammatory and anti-infection properties. In fact, you can make a cough syrup on your own. It’s very easy to make and effective in its action. This variety of ginger (zingier officinal) is characterized by less crude fiber. Nadia is best known for slender, pungent, lemon flavoured special features. This high yielding variety is tolerant to bacterial wilt (ralstonia solanacearum ). It has high dry recovery percentum trait. It is used both as a herb and spice. The fresh root can be referred to as an herb and the powdered form as a spice. - Raw Material Used- From Our Registered Suppliers. - All Product are 100 % Natural , no External Colors, Preservatives, Or And Chemicals added. 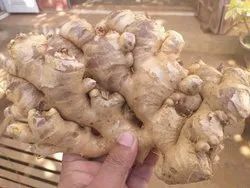 We are engaged in buying an optimum quality Ginger Seeds that are extensively acclaimed in the domestic as well as international markets. We offer to buy these seeds which have rich source of nutrients and free from any preservatives or artificial ripeness. We procure this range from renowned vendors, who cultivate these seeds in appropriate seasons under best climatic conditions. Ginger is among the most important and valued spices, as the many synonyms indicate. Today, the plant grows in tropic regions all over the world and plays part in the local cuisines. We are one of the prominent exporter of ginger in india.